Well, it happened. I felt certain it would one day but wasn’t expecting it quite so soon. Drunk guy. Plate glass window. Disaster. 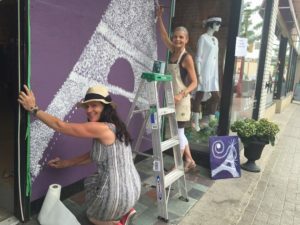 The details were well described in this piece by Sue Scambati of BarrieToday. What I feel the need to share here are my mixed emotions that surfaced following the “incident”. Initially, it was the inevitable — anger, frustration, fear and disappointment.Why did this happen to me? The past year has delivered a flood, injuries, moves and other challenges that have felt relentless. But what followed reminded me of why I am still standing and ready to face the day. The outpouring of sympathy and support from this #downtownbarrie community propped me up once again. Many of my fellow merchants were empathetic having experienced it themselves. Customers and friends dropped in to make sure I was ok. And of course my family and staff jumped in to do whatever needed to be done. This downtown community of ours is a solid and faithful friend that doesn’t let us down. And I love it. I have reached out to the man who went through the window – he has suffered injuries and I truly wish him well. However, there have been consequences and he needs to take responsibility. Please allow me to share the words I sent to him in a letter. It is a genuine reflection of how I feel and what I believe. I hope he lives up to the standard set by so many who have shown their love and support. I’m here for the long run! Hello. 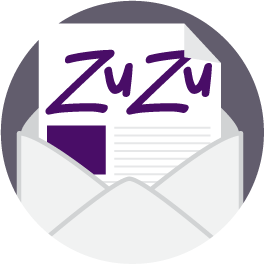 My name is Tracey Baker and I own ZuZu Fashion Boutique in downtown Barrie. It is my store window that you backed into at approximately 2:00am last Saturday morning, June 25. Constable [name] kindly contacted you on my behalf and I thank you for agreeing to provide your email address so that I can reach out to you. Let me say that I have watched the security camera footage several times and there is no doubt that you were very lucky to have come out of it as you did. I understand from Constable [name] that you have suffered badly and I am truly relieved that you escaped more serious injury. It certainly could have been much worse and I don’t wish that on anyone. The reason I wanted to contact you is two-fold. First, I have seen this situation several times in the downtown – bar patrons drink excessively and it ends up creating consequences for the merchants. These are small businesses owned and operated by people who work hard every day to build and support each other, and the community. It is not uncommon for the person at fault to walk away having taken no responsibility whatsoever. There is no apology, no expression of remorse and no stepping up to say “I’m sorry that my behaviour has put such distress on you”. That is not fair and it’s not acceptable. Second, these situations are very costly in many ways. Seeing broken and/or boarded up windows perpetuates the impression that our beautiful downtown is not safe. It deters visitors from coming to see what we have to offer and that impacts our reputation and our businesses. Also, repairing glass windows is an expensive proposition. People say “well at least your insurance will cover it” but with deductibles (usually $1000 minimum) and penalties for claims, it inevitably comes out of our pockets, 100%. This is no exception. There will be no insurance claim. That takes me to a minimum of $3000, coming directly from my bottom line through no fault of my own. Not to mention the incredible stress it has placed on me and my staff, as well as the interference with my customers. It is important to understand the repercussions of your behaviour. I am asking you to consider what I have expressed here and make amends for me, the store and the community. It is the right thing to do. I look forward to hearing back from you and wish you a quick recovery. Please feel free to call or email me. Thank you again for providing me the opportunity to share my thoughts with you.